‘The Divergent Series: Allegiant’ New Trailer Is Amazing!!! Fans of the Veronica Roth trilogy ‘The Divergent Series‘ can rejoice with the latest trailer to be released for the upcoming ‘The Divergent Series: Allegiant‘ which will be released March 18, 2016. Maybe following a bit of fan backlash from the second film, ‘Insurgent‘, the first part of Allegiant is said to follow the book more closely than the film prior did. The film urges all to “break the boundaries of your world” while our heroes Tris, Four and Christina scale the walls showing us what lies outside of a post-apocalyptic Chicago. Once outside the walls they are encountered by and given protection under the name of Bureau of Genetic Warfare. There she is approached by newcomer Jeff Daniels and given the hope she may turn the tide of the world. 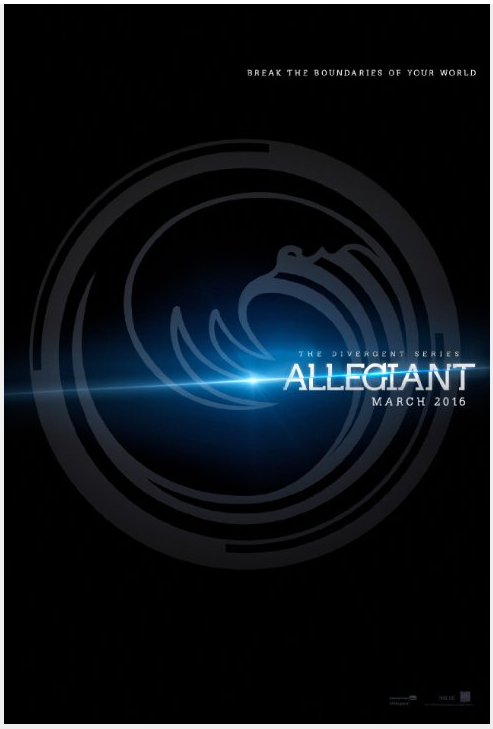 Before it was titled as Allegiant Parts 1 and 2, but has now been renamed to ‘The Divergent Series: Allegiant‘ which drops March 18, 2016 and ‘The Divergent Series: Ascendant‘ which will release March 24, 2017. The Entire ‘Divergent’ Trilogy’ Will Be Available To Purchase In July!!! Here’s the New Trailer for ‘Divergent III: Allegiant’! Film Review: ‘Divergent 3: Allegiant’! This entry was posted on Tuesday, September 15th, 2015 at 3:24 pm	and is filed under Film, News. You can follow any responses to this entry through the RSS 2.0 feed. You can skip to the end and leave a response. Pinging is currently not allowed. « Rachel McAdams Announces Casting In ‘Doctor Strange’!! !